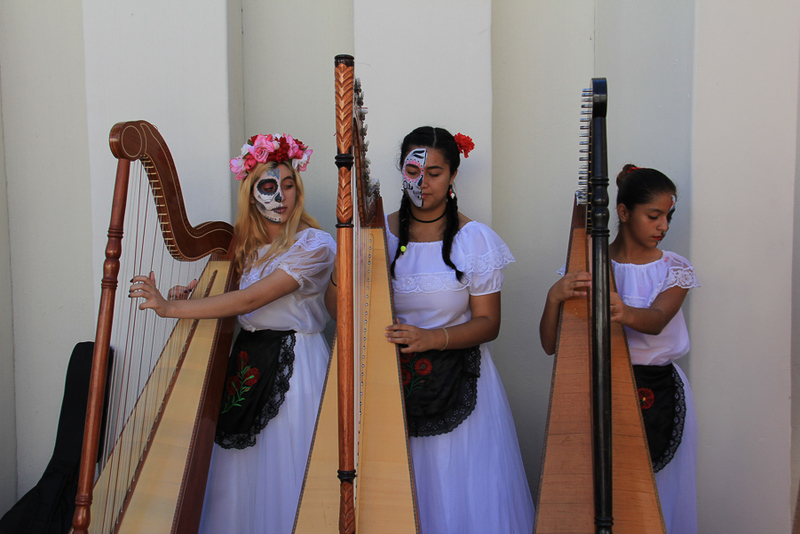 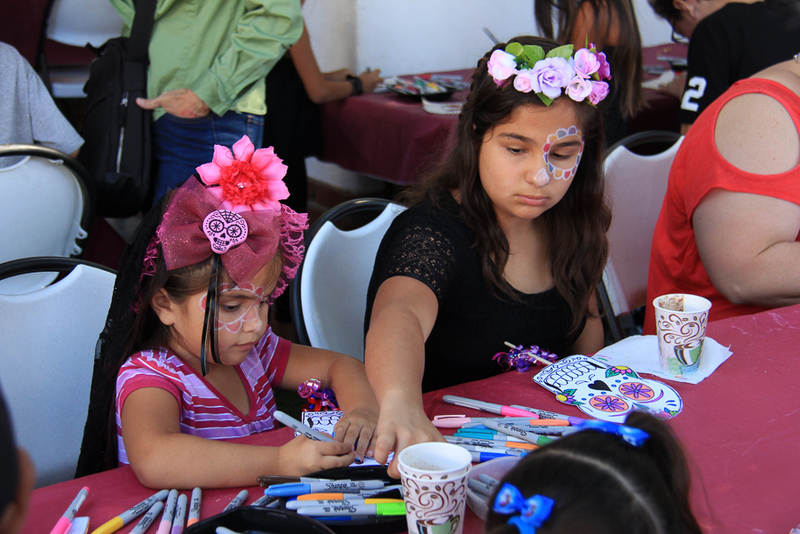 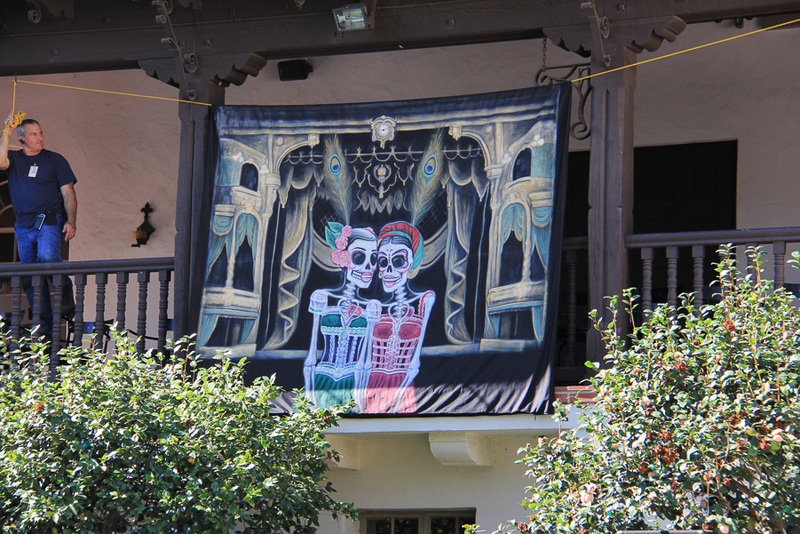 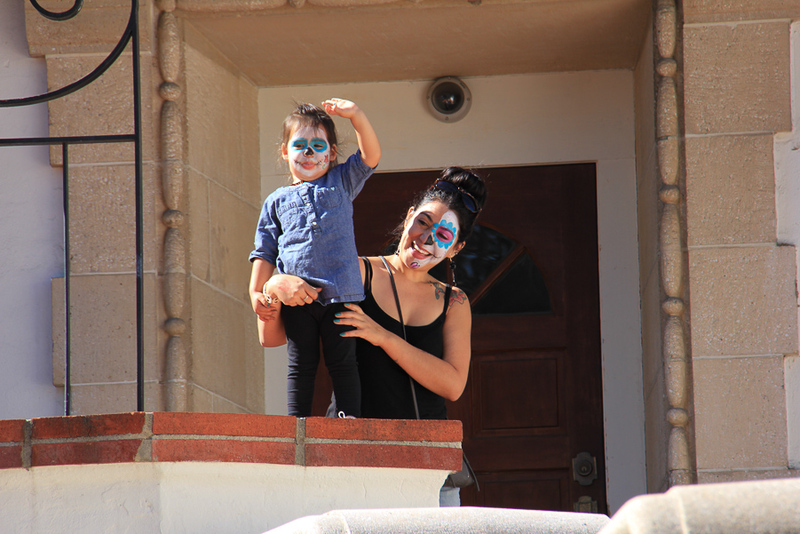 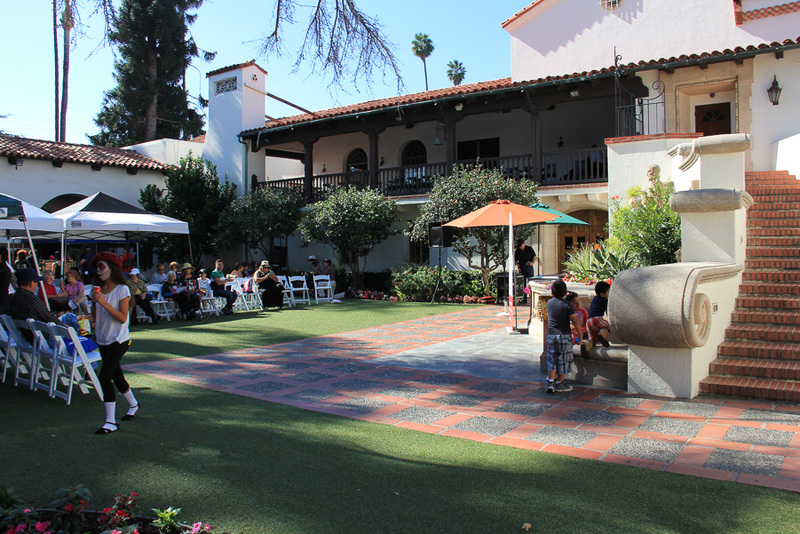 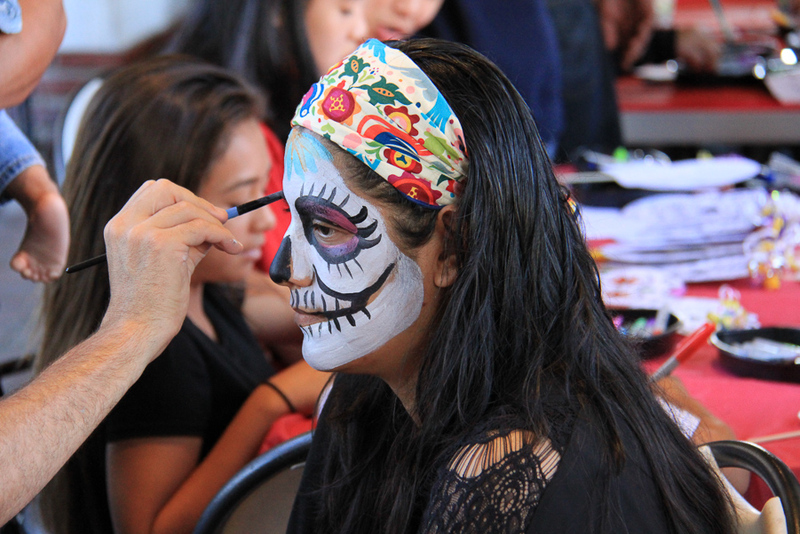 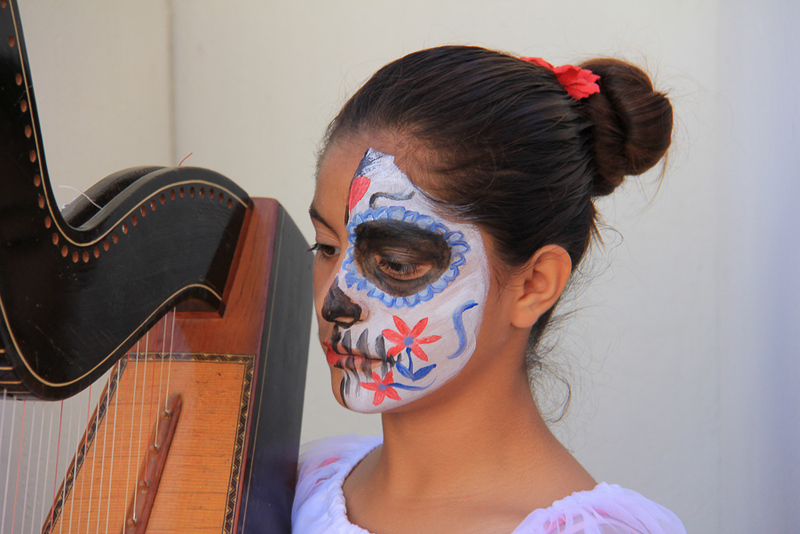 November 6, 2016 - Today the Bowers Museum in Santa Ana held their annual Mexican Day of the Dead festival. 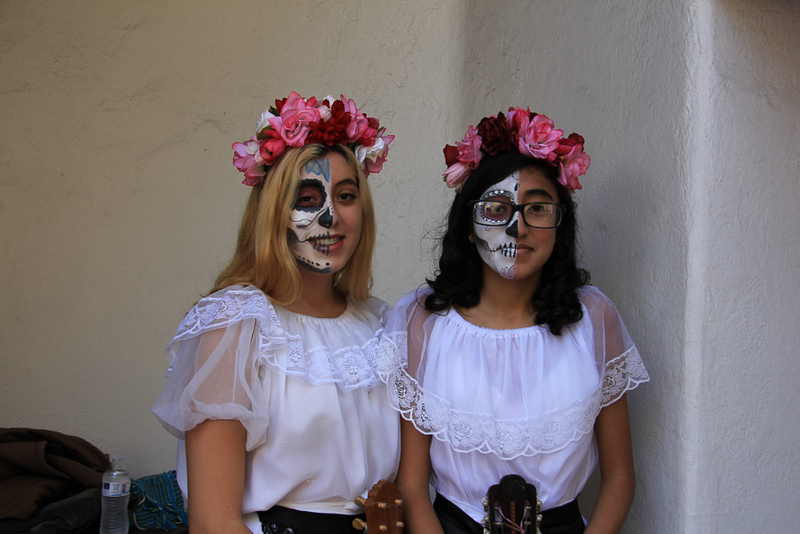 Day of the Dead (Día de Muertos in Spanish) is a Mexican national holiday celebrated throughout Mexico and by people of Mexican ancestry wherever they may be living. 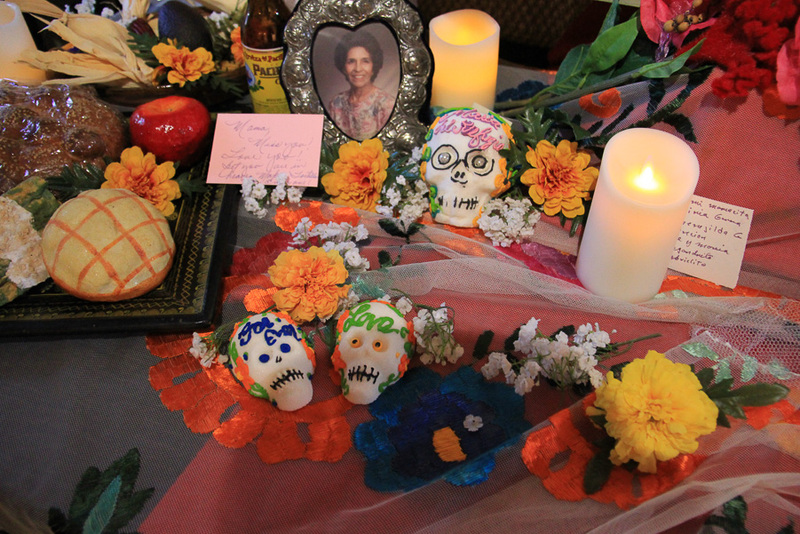 The multi-day holiday focuses on gatherings of family and friends to pray for and remember friends and family members who have died. 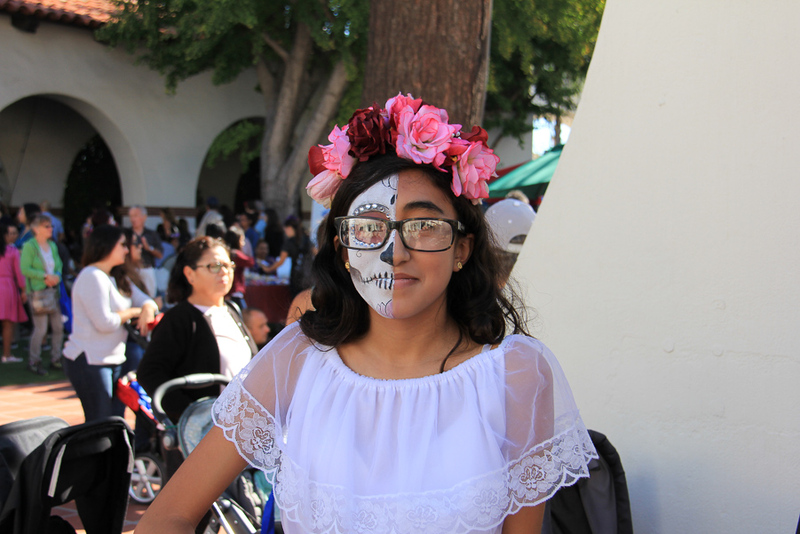 The Day of the Dead celebrations in Mexico developed from ancient rituals among its pre-Columbian cultures, which began about 2,500-3,000 years ago. 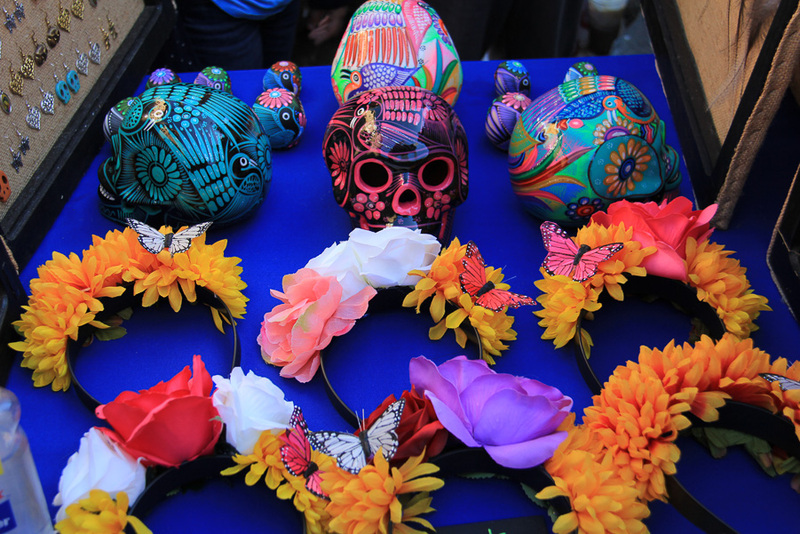 It was really colorful and a lot of fun! 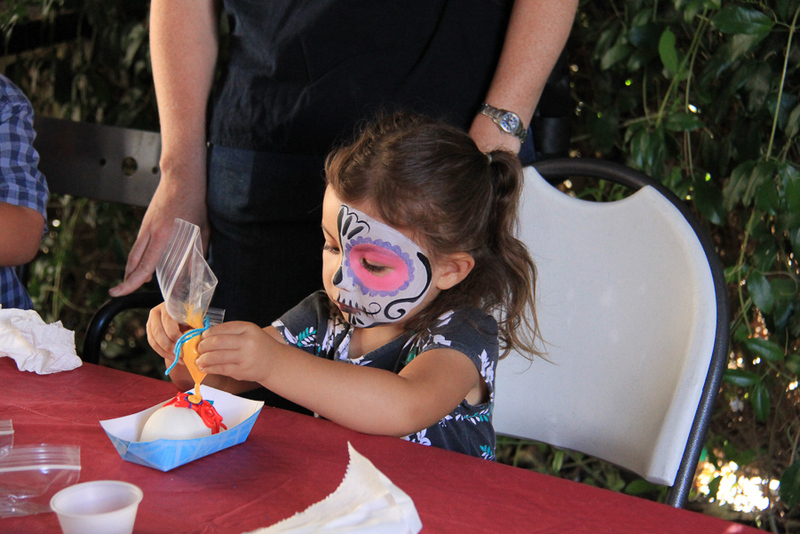 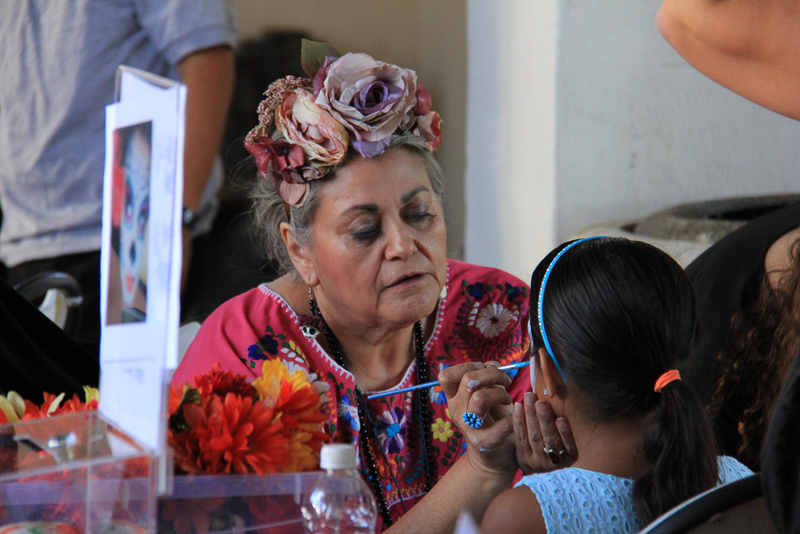 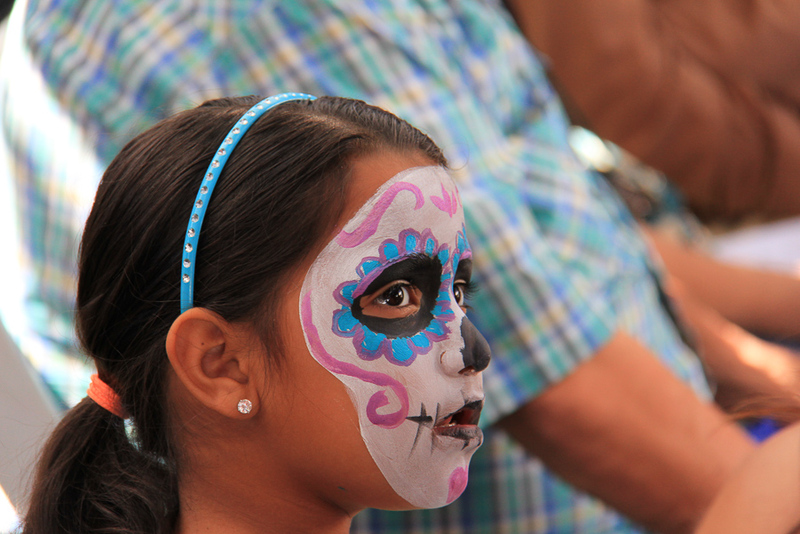 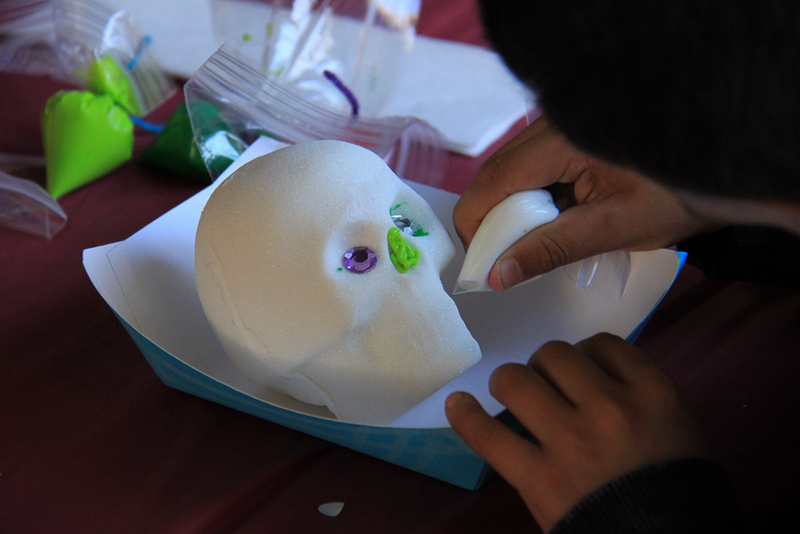 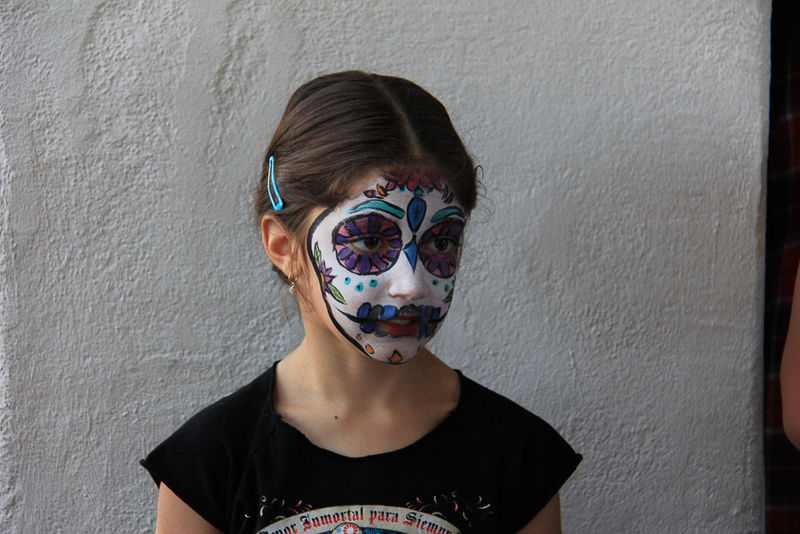 This little girl is decorating a sugar skull, a Mexican tradition associated with Day of the Dead festivities. 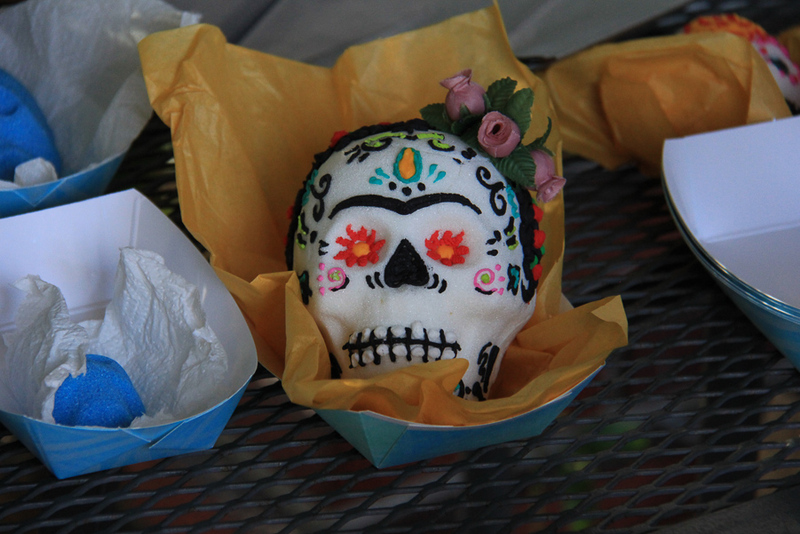 The skull is solid sugar, which is decorated, and then sometimes eaten! 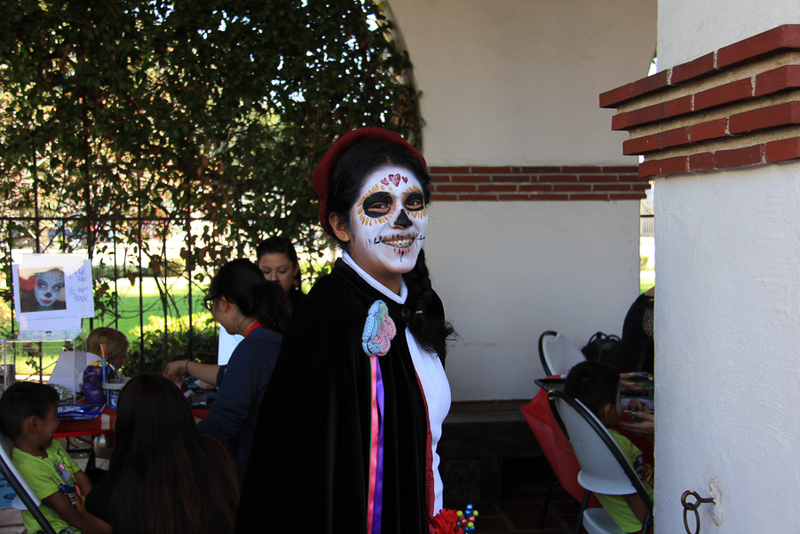 I guess there weren't any calorie counters here today. 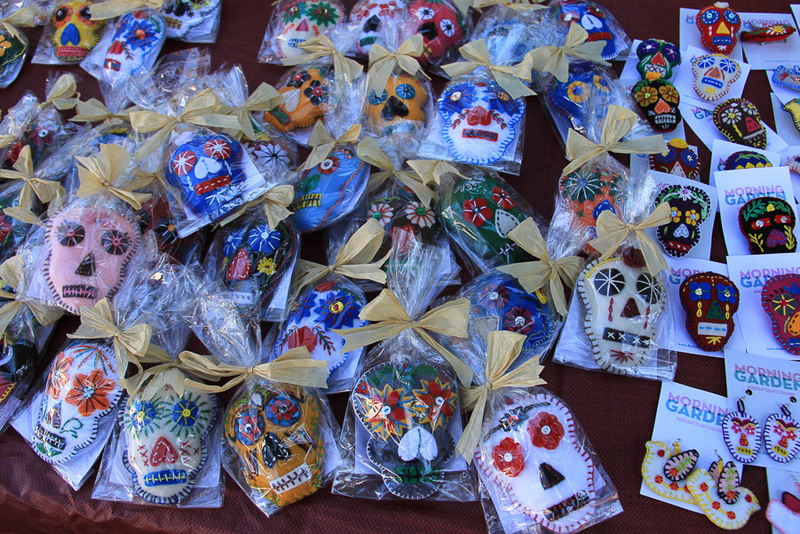 These are embroidered skulls and skull pins. 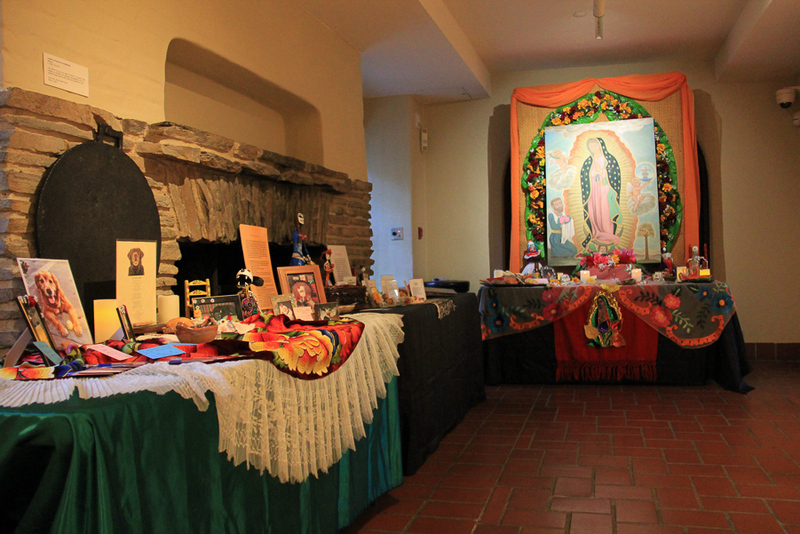 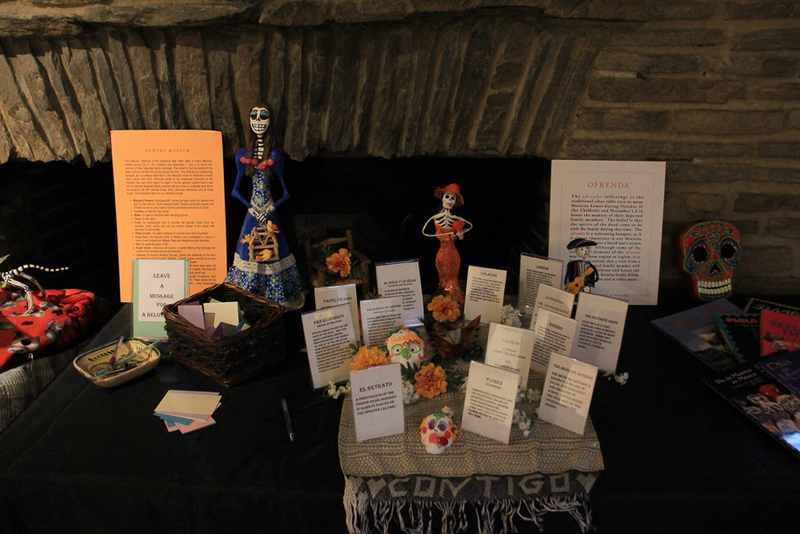 Inside the museum was the Ofrenda, the memorial altar, where you could leave a note, a picture or a token for a departed loved one. 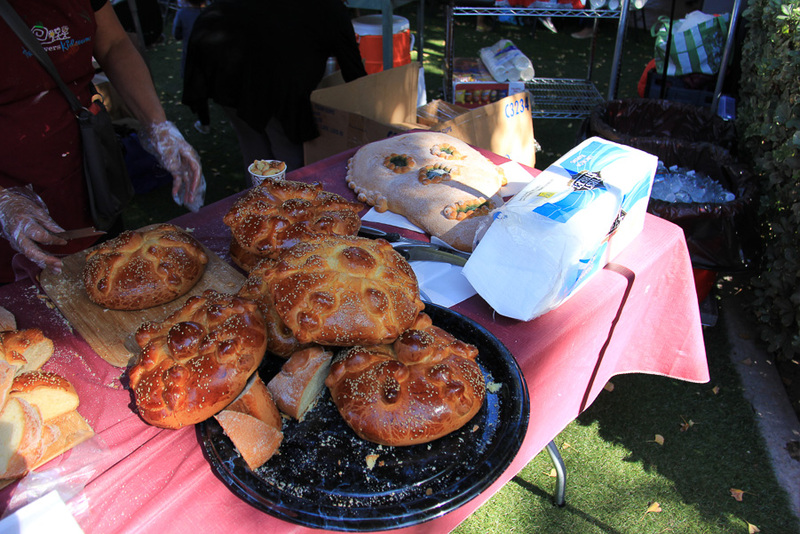 In the courtyard, free hot chocolate and Pan de Muerto (bread of the dead) was served. 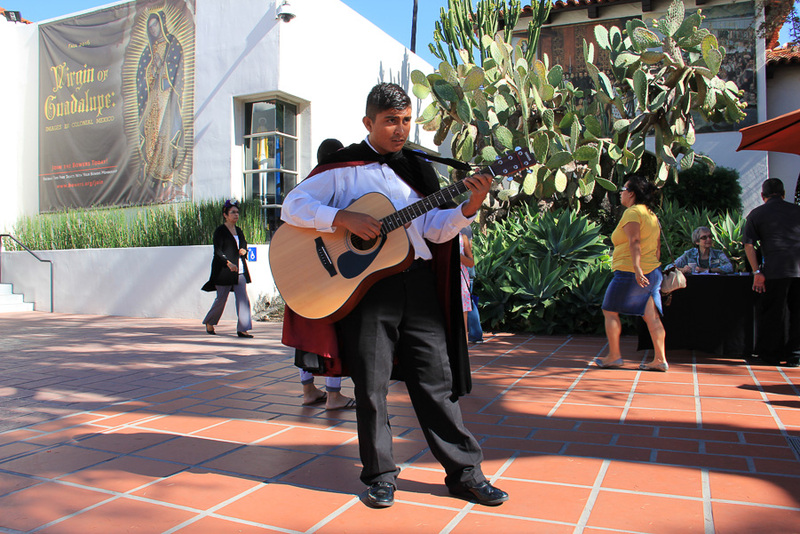 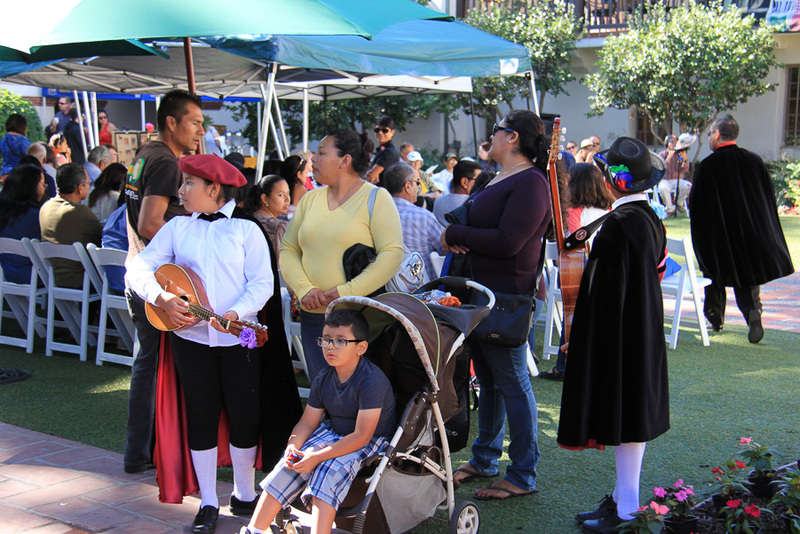 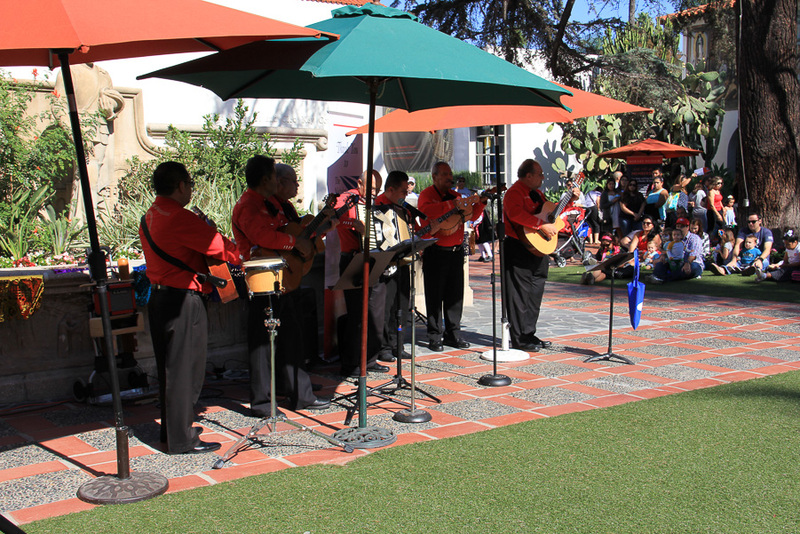 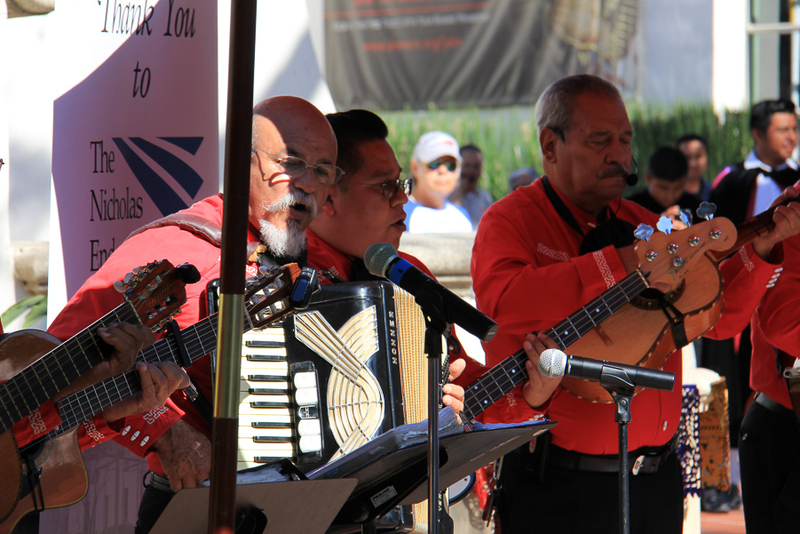 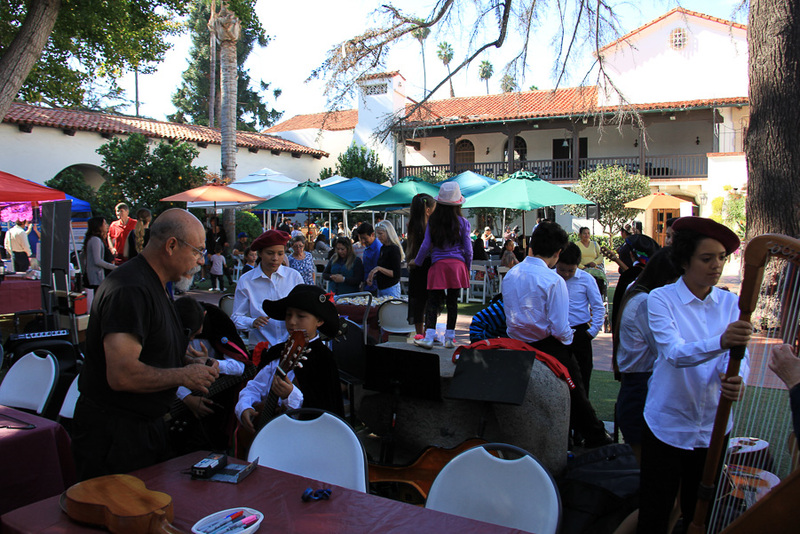 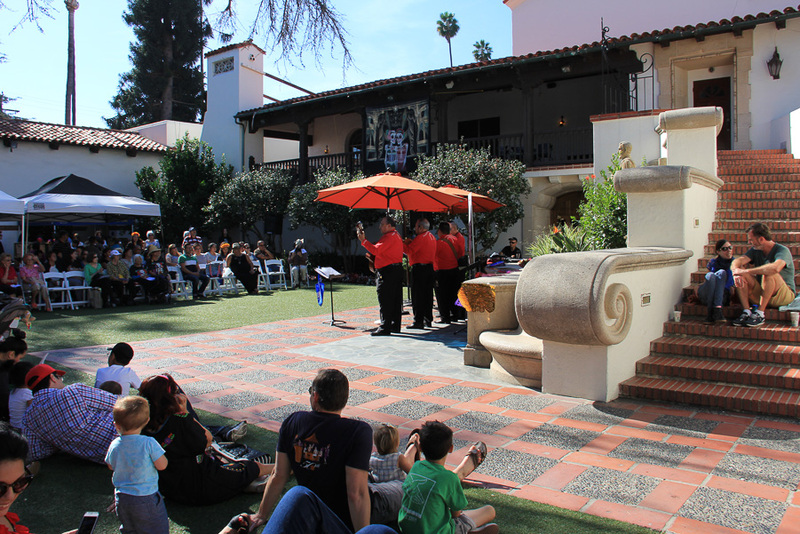 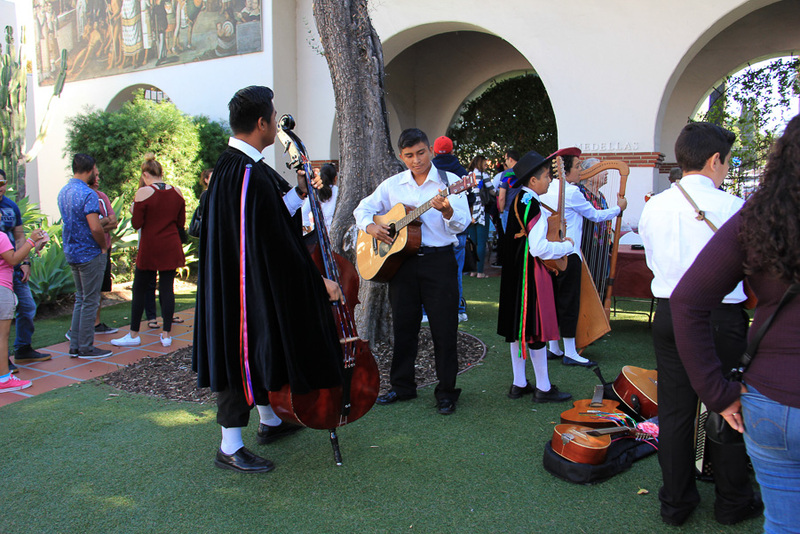 A local Santa Ana string ensemble, Rondalla del Sol, performed music in the Spanish/Mexican tradition. 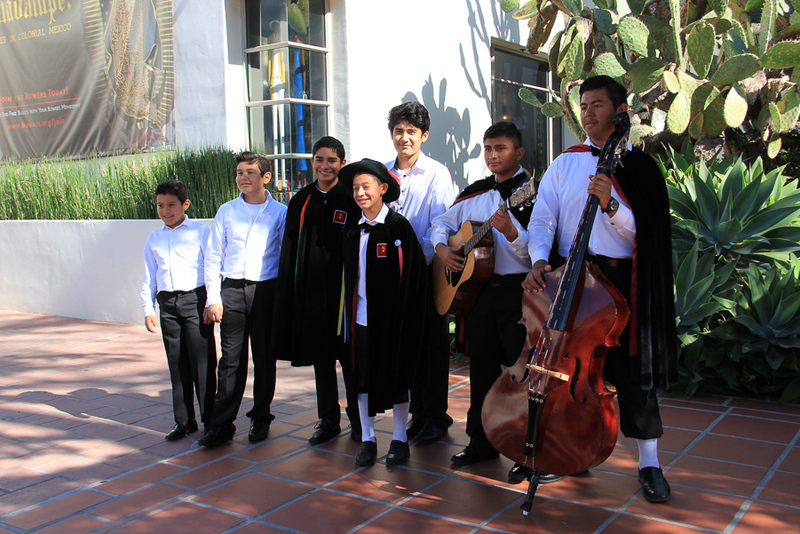 These are some members of a student musical group called Estudiantina del Sol, who were scheduled to perform after I left. 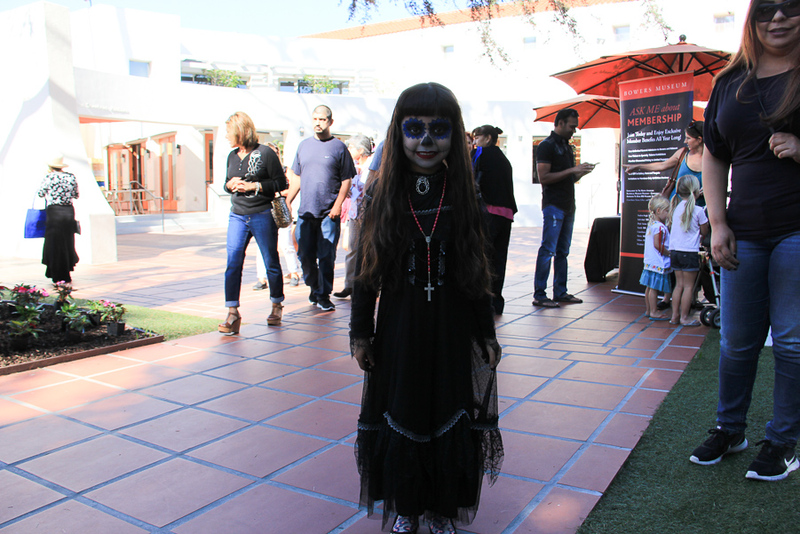 This little guy was quite a character. 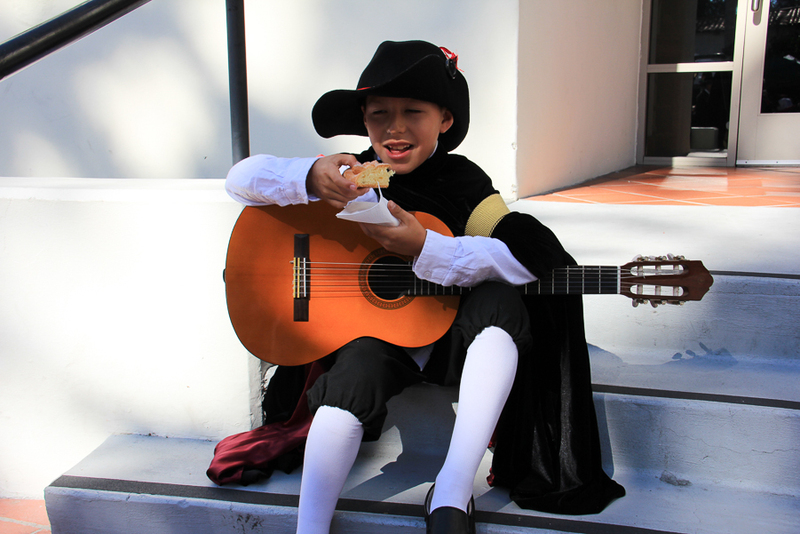 He is a member of the student musical group, but he couldn't keep away from the stand where the Bread of the Dead was being served. 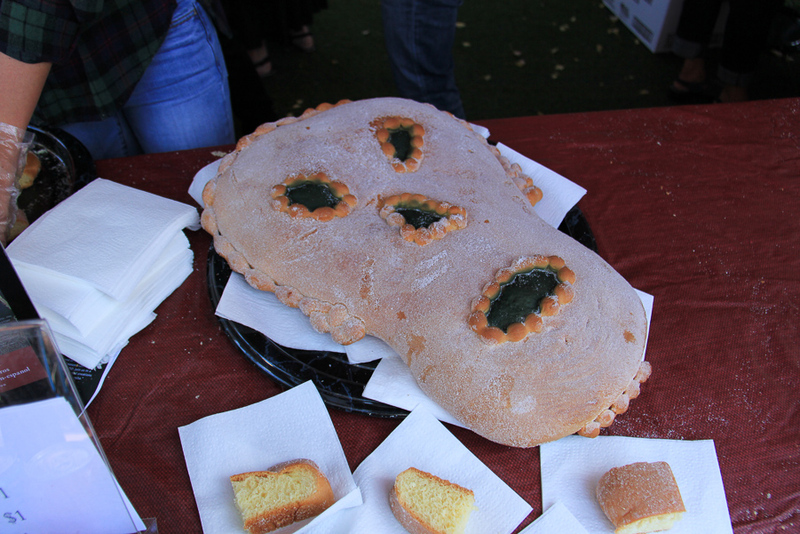 The bread is sweet and covered in sugar, and I saw him go up for four helpings! 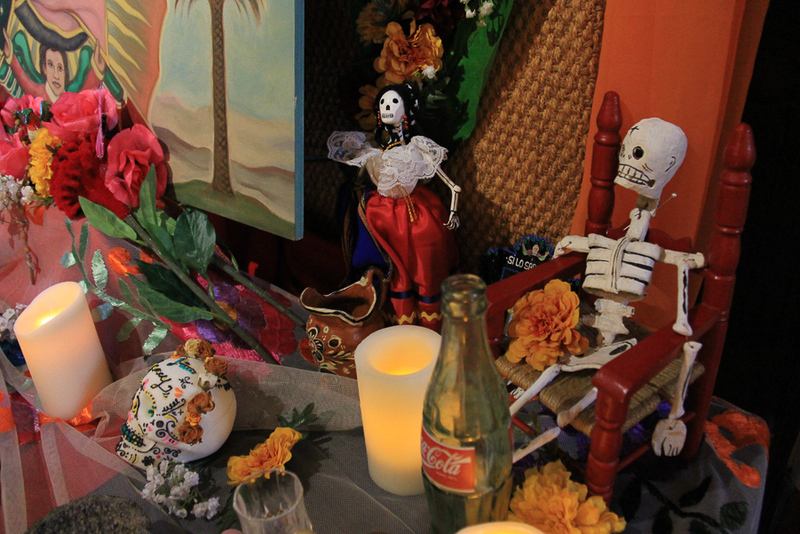 I wonder how many sugar skulls were on his list. 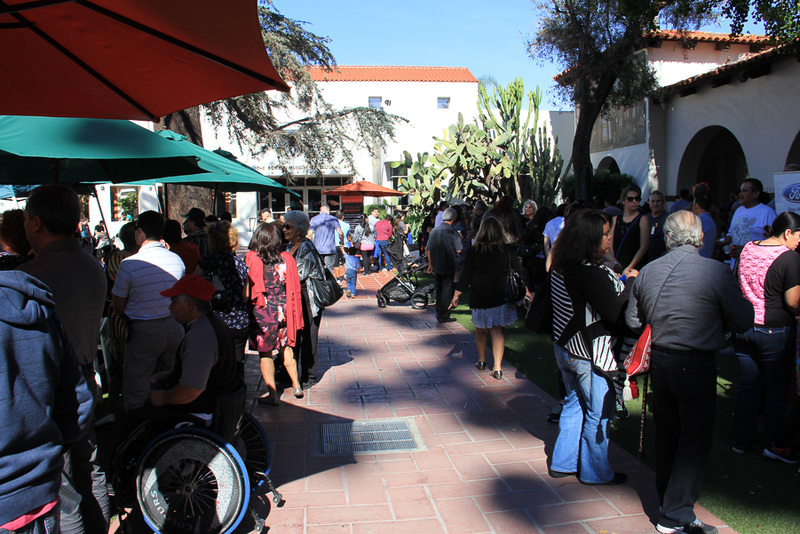 There were more groups scheduled to appear today, but I left after an hour and a half. 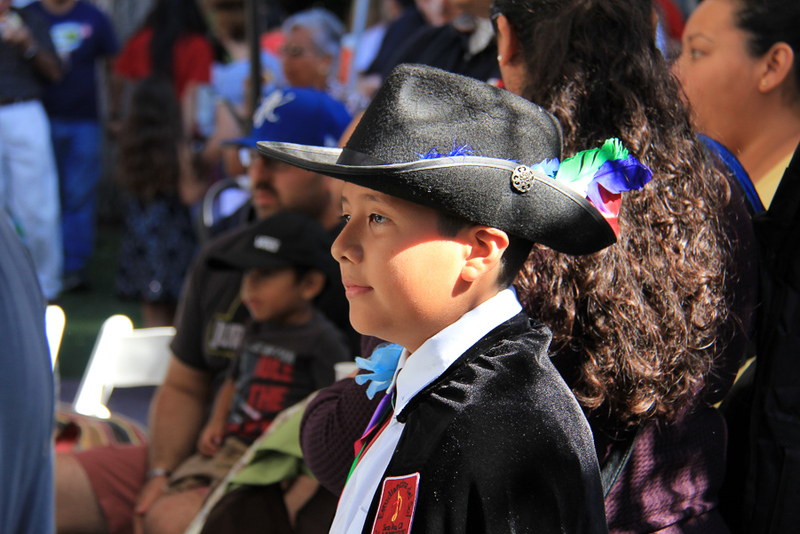 The highlight of the day must have been the Aztec dancers with their elaborate feathered costumes and headdresses, but I chose not to wait another three hours to catch their act. 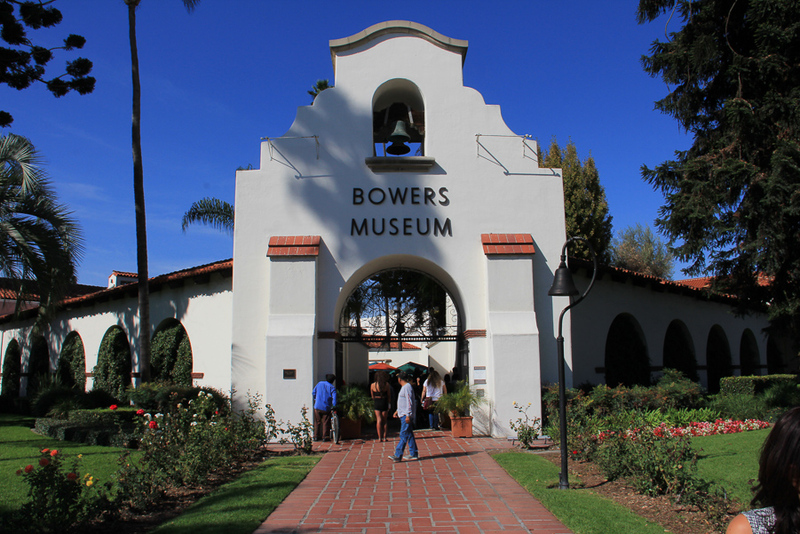 Judy's up north visiting Beverly, so it was a solo trip for me, but I know she would've liked it had she been here.